Renewable energy holds the key to a more sustainable future. As the costs of green technologies have fallen so that they are now competitive with fossil fuels, governments all over the world have invested heavily in clean, renewable energy in the hope of curtailing harmful carbon emissions. Wind has become vital to these energy mixes, and wind farms full of large spinning turbines have become something of an attraction in their own right. But there’s a hidden, little discussed side of wind farms that is quite troubling. Those towering structures are costly to transport and install in terms of both energy and price, and they generate a significant amount of waste at the end of their lifecycle. However, lightweight recyclable composite materials are helping to make newer wind turbines a truly green energy solution. MVP is poised to become a significant name in the game as this new market continues to grow. Conventional wind turbines are constructed using aluminum or steel that is robust and can last for 20 to 25 years. However, this durability comes from the heaviness of the metals, which makes transporting the components both difficult and fuel intensive. This results in the release of more carbon emissions. Additionally, erecting these heavy structures requires a lot of time and manpower. Finally, the resin applied to the fiberglass blades makes it impossible to recycle the materials when the turbine is decommissioned after two decades. From installation to its final resting place in a landfill, traditional wind turbines often fall short of being a truly sustainable energy system. Recognizing the shortcomings of old wind towers, consumers are demanding more advanced wind turbine composite materials that are greener and more efficient than their predecessors. Experts predict that the global market for wind turbine composite materials could reach over $12 billion by 2023 with an expected CAGR of 9.6% from now to 2023. The cost advantage of steel has diminished as well as composite material prices have plummeted, making them more attractive for manufacturing and production purposes. Also, the lighter weight of composites makes transporting and erecting these structures easier and more affordable. A report estimated the cost of composite towers, based on a two-unit wind farm, to be 38% less than the cost of steel towers. Similarly, a wind farm of 25-unit composite towers rings in at 28% cheaper than steel towers. Ultimately, transporting and erecting composite towers isn’t just faster and more fuel efficient–it’s cheaper as well. Green wind power is generated by those hypnotically spinning blades made largely of fiberglass. Unfortunately, a common resin used on the blades prohibits them from being recycled, so most will end up in a landfill. But an innovative recyclable resin pioneered by Arkema is changing all that. This resin, called Elium, cures at room temperature and enables decommissioned fiberglass blades to be recycled, reducing waste. Thanks to composites and this game-changing resin, the next generation of wind turbines will fulfill the promise of true sustainability. Magnum Venus Products (MVP) is the premier manufacturer of composites application equipment with pumping systems, spray guns, and filament winding systems. 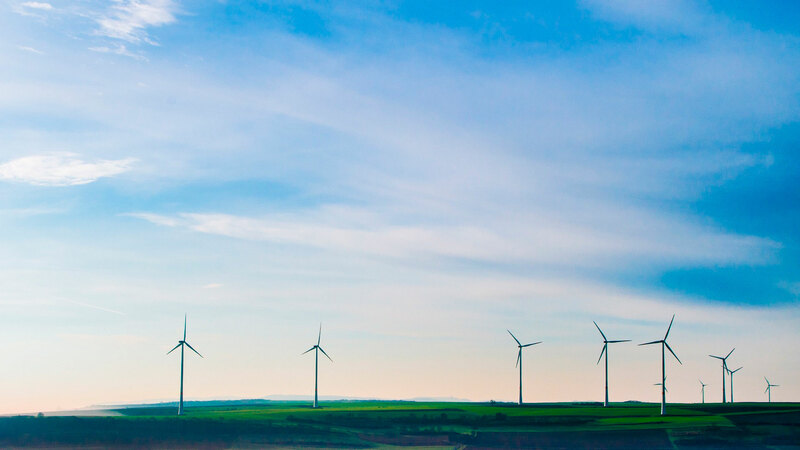 MVP serves a wide variety of industries including automotive, aerospace, transportation, marine, railway, oil & gas, and of course, wind turbines. Check out some of their technologies that are driving composites production and find out how you can reduce both costs and waste today.